If you feel as if your grocery bill just keeps going up and up, it’s not your imagination. The cost of dairy products and meat have been increasing steadily for the past few years as have items such as produce and even snacks. And it’s clear that there isn’t much relief coming as transportation and manufacturing expenses continue to increase. While you may never have thought of this, when the price of gas rises, you can just bet that this will ultimately have an effect on your grocery bill. The good news is that you can fight back. 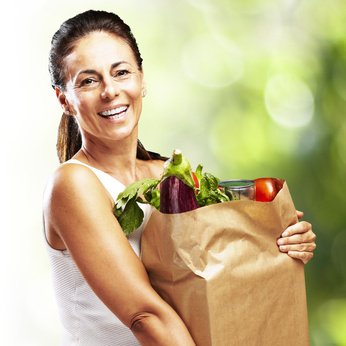 All you need to do is follow these awesome tips for saving money on groceries. Some of them are fairly simple while others may be ones you’ve never considered before. However, all of them can help you save money so you can keep more in your pocket. About the worst thing you can do is go shopping without a plan. If you really want to manage your spending, you need to establish some parameters and the only way realistically to do this is to have a shopping list of the items you must have. Then stick to that grocery list and avoid buying products you don’t really need. You may find yourself tempted to buy something that’s not on your list because you come across a really great sale. But keep focused and you’ll definitely stay under budget. There are a huge variety of websites where you will find money-saving coupons. The best place to start is your store’s website. Beyond this, you need to visit at least a couple of coupon sites, print out coupons for the stuff you will need and bring them with you when you go shopping. The more coupon clipping you do the better you will become at applying them to the items you buy most often. Do this for a while and you’ll become an old veteran at reducing your grocery bill by adding coupons to items your supermarket already has on sale. You may get weekly circulars in your mailbox once a week or you may find them in the Wednesday edition of your local newspaper. These circulars include all the items that the store has on sale for the week. When you know this you can plan your menus and budget more effectively. Of course, you shouldn’t go hog wild just because you find so many great things at reduced prices. A good rule of thumb to follow is that if it’s not something your family will actually consume then don’t put on your shopping list even if it’s a dollar or cheaper than usual. Almost every supermarket has an area for products that are nearing their sell-by or expiration dates. These shelves or bins can be one of your best friends for saving money. Your store doesn’t want to have to throw away these products so they will discount them by up to 50% just to get them out of the door. What’s more, the sell-by and use-by dates are usually just estimates. This means that excepting some protein and diary products they can still be consumed a few days after those dates. If you always do your grocery shopping at just one supermarket, it’s probably costing you money. Unless you live in a very small town there are probably several supermarket chains near you. When this is the case you need to take advantage of all their sales. While most of those stores sell essentially the same products they don’t usually have them on sale at the same time. If there is something specific you need, you may find that one supermarket has it on sale while another is selling it at full price. If you want to save money, you need to do your shopping at several stores. There was a time not long ago when the only way you could buy grocery products in bulk was at places like Sam’s Club and Costco. However, the big chains have begun to get into this business by either selling larger versions of some items at special prices or by providing nice discounts when you buy five or 10 of the same ones. Some of the supermarkets are now even packing meats into bundles and selling them at reduced prices versus singles. For example, one supermarket near where we live has been selling strip sirloin steaks in packs of three for much less than if you were to buy them individually. You should also be able to save money on anything that can be stored for months without having to be concerned about their expiration dates. Three good examples of this are breakfast cereal, canned goods and dry foods such as pasta. Most supermarket chains have their best sales around holidays such as Memorial Day, the Fourth of July, Thanksgiving and Christmas. This makes them ideal times to find the best deals on the stuff you buy every day anyway. Be sure to also watch the store circulars on the days and weeks leading up to major holidays as they generally will be full of great deals. Do keep in mind that when the sales began you need to start shopping because the best stuff is likely to run out early. If you carry several credit cards the odds are that at least one of them comes with cash back. In the case of some cards you could get 2X cash back just by using them to buy the groceries you would’ve purchased anyway. Just make sure you pay off the balance on that card at the end of the month or you will be hit with interest charges that could negate the cash you had earned. You can save money just by growing your own vegetables and herbs. Many of them can be grown pretty easily in your backyard. Or if you live in the city you might be able to have a garden on your patio or deck. Once you plant the seeds all you really need to do is remember to water the plants and give them the nutrients they need. Then, in just a few weeks (or months), you’ll have your own carrots, peppers, tomatoes, radishes, herbs and the like. This will not only help you save money, you’ll be eating fresher, better tasting items. If you’ve never had a vegetable garden before, here’s a short video that explains what you will need and how to get started.